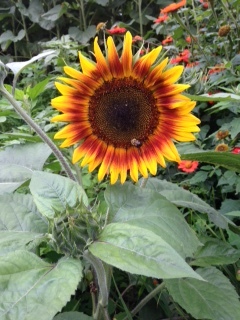 Blog | Knight Hall School | Discovering ourselves and our world. I have been reading and hearing so much about the social/emotional development of young children; the importance of developing connections and attachment. This is nothing new to the practices at Knight Hall School. Knight Hall School, since 1929 has been placing a huge emphasis on connections and attachment. To say it is one thing, to practice is another. I look around me at all of the different early childhood education and early care programs and it saddens me that many programs don’t focus on relationships, connections and attachment. They say they do, but their practices tell a different story. So, as a perspective family how do you know if the school you are looking at for your child promotes relationships, connections and attachment? You ask about their business practices! You ask about their personnel practices. Knight Hall School spends a lot of time developing relationships, connections and attachment, it doesn’t happen over night. I am going to provide a list of things that Knight Hall practices that promotes our strong belief of the importance of relationships, connections and attachment. Knight Hall School has 5 classrooms with 2 full-time educators in each class. 98% of our educator’s have at least a bachelor’s degree in early childhood education. The importance of having a teaching staff with a degree in early childhood education is imperative. Would you go to a lawyer who does not have a degree in law? If the people educating your child are not educated in the field of early childhood education how effective can they truly be? Our average teacher tenure is 10 years. We recogonize that our teaching staff are true educational professionals and respects them as such! Each educator receives a competitive salary, paid vacation time/personal time/sick days/holidays, life insurance, short term disability, medical benefits, and reimbursement for continuing education hours. Knight Hall School sets a schedule so that one teacher in each classroom is here to open the classroom at 7:30AM and their co-teacher stays until our closing time, 5:30PM. This allows for the families to connect with someone who has been with their child throughout the day. We do not use an outside service for substitute teachers when a full-time classroom teacher is out. We have three full-time support staff with degrees in Early Childhood Education that assist in the classrooms on a routine basis. Children are enrolled in a classroom for a full year. Remaining in the same classroom for a year, allows the children, teachers, and families to form strong attachments, create connections and develop trusting relationships with adults and other children. We never move children for the sake of ratios or developmental milestones. Knight Hall School values the connections made with one another and therefore, we have a very strong sense of community. Families are invited to participate in our monthly family “meet-ups” (i.e. Saturday morning playdates at the library, Mom or Dad’s Night Out, etc.) and our various school sponsored events (Parent discussion groups, Annual Art Show and Fundraiser, Back To School Nights, Spring Celebration, etc). We encourage families to take an active role in their child’s day here at Knight hall School. We welcome families to do this in ways that work best for their family structure–whether it is a daily phone call or email, joining the classroom for group time or a field trip, we strive to build a strong family-school connection. We know that it takes a village to raise a child and look forward to being a part of that village! I am sitting in my office and I can hear the youngest children in our school (1 year olds) literally bouncing off of the walls! This winter has been such a challenge for all of the children in our school, and their teachers! We firmly believe that children have the right to be outside as much as possible! However, this winter has thrown so many obstacles in our way to provide that right. The cold and the depth of snow have been our major challenges. I have watched as the teachers come up with new and inventive ways to help the children exert energy in ways that are safe, yet satisfying. The 2 year olds have been working on a larger than life, paper mache alligator. this allows them to use big body motions, large brush strokes, constant motion uses up some energy. 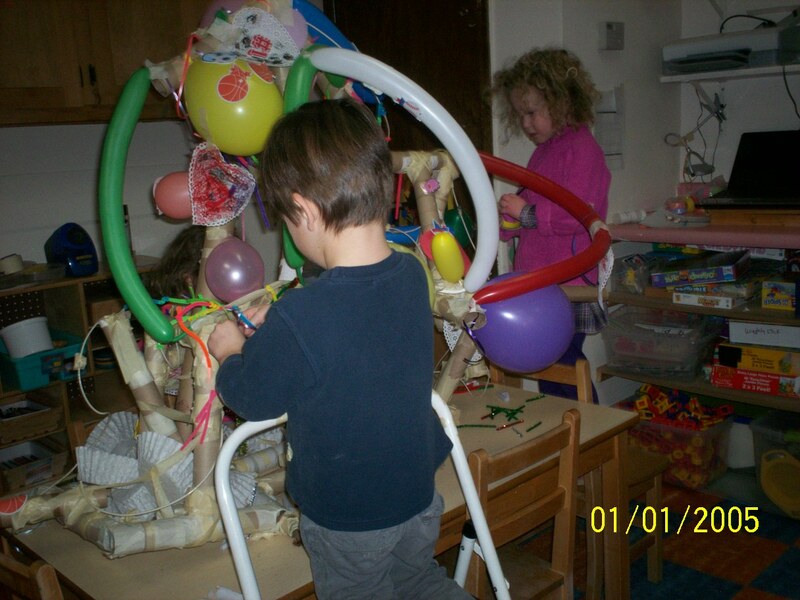 The 1 year old class has see-saws, ride on toys and climbing stairs. They also have been filling their sensory table with snow! A great way for the children to experience the lovely white fluffy stuff without having to actually be in the stuff! Our preschoolers have created obstacle course, created large building with big heavy blocks and most peacefully practiced yoga. The preschoolers have had a few opportunities to get outside; when the temperature cooperated! Teaching young children is all about flexibility and creativity! The teaching staff at Knight Hall works hard to bring meaningful play into the classroom, no matter what the obstacles may be! So, let’s hope that winter is on its way out and spring is on its way in! 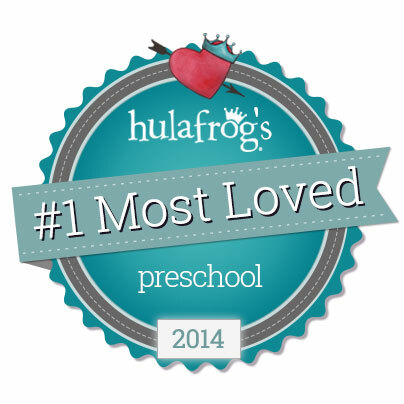 Knight Hall was recognized within our community as the #1 Most Loved preschool in the West Hartford area! We are humbled and grateful! We are currently number 3 in a national running! If Knight Hall is voted the #1 Most Loved preschool in the country we will win a $15,000 playground! We are so excited! If you would like to vote for Knight Hall go to Hulafrog.com, click on preschools, scroll down to find Knight Hall and click on the heart! It’s easy and fast. Hulafrog is an awesome website for families. They provide a wealth of activities for young children and many of the activities are free!!!! A few people asked about cookbooks. I am providing a list of my favorite cookbooks to use with children. If you click on the links you will be redirected to Amazon.com If you purchase a book from the link, Knight Hall gets a small percentage of your purchase!